Adobe is celebrating their 30th birthday this week. The company was founded in 1982 by Charles Geschke and John Warnock following their departure from Xerox PARC. The duo started working on PostScript, a page description language that would eventually be used in desktop publishing. Following PostScript, Adobe set to work on creating digital fonts for computers. Their first standard, called Type 1, was licensed to Microsoft. They ended up in a heated back-and-forth battle with Apple’s TrueType standard which eventually became the standard for business use and early Windows users. Adobe went on to create the OpenType font format in 1996 and in 2003, they finished converting the Type 1 font library to OpenType font. Their first consumer software product was Adobe Illustrator which, interestingly enough, was a piece of software that originated from their own in-house font-creating software. Adobe then released perhaps their most popular product to date in 1989: Photoshop. The first version of Photoshop quickly became the go-to graphics editing software for working professionals, a distinction that it still holds to this very day. Adobe wasted little time, however, by introducing the Portable Document Format (PDF) a few years later. It has since become an international standard and is used worldwide as a general document viewer. 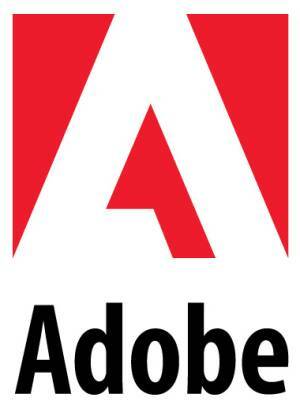 It wasn’t until late 2005 that Adobe acquired Macromedia as part of a deal valued at $3.4 billion. This acquisition resulted in a number of products that we are all familiar with today including Adobe Flash, Adobe Fireworks and Adobe Dreamweaver.